T/Sgt. Andy S. Largin, son of Mrs. Betty Largin, graduated from Davidson High School and Lawton Cameron College. 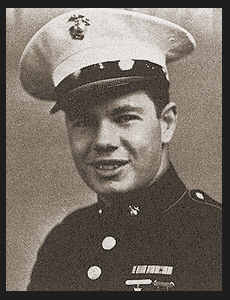 Entered Marines in June, 1942, trained in San Diego and El Centro, Cal. ; served in S. Pacific Theater, and Cherry Point, N. C.